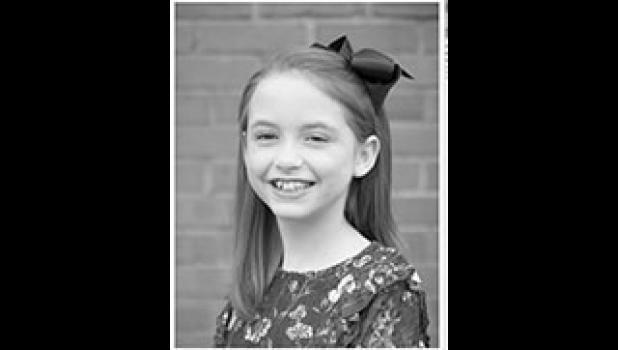 Eliza Caitlyn "Eliza Cait" Millwood, 10, of Landrum, went to be with Jesus on April 3, 2018. She was the beloved daughter of Joey and Erin Millwood. She was a member of First Baptist North Spartanburg and was a 4th grade student at O.P. Earle Elementary School. Eliza Cait loved Jesus, she loved her family and friends, she loved dance and her dance studio 3D Centre of the Arts. She was a selfless child who was always kind and loving to her friends and to her pets. She is survived by her parents, Joey and Erin; her brother, Andrew Millwood; her sister Molly Millwood; grandparents, Tommy and Debbie Henderson and Johnny and Donna Millwood; great grandparents, Jean Boatman and Ophelia Millwood; uncles and aunts Joshua and Hillary Henderson and Justin and Megan Millwood; her cousins Macy Millwood, Bryce, Brock, and Annabelle Beasley, Rowan Raney, McKennon Dill, Josie Arcuri and Cam Scruggs; and her best friends Amelia Campbell, Claire Chestnut, Jacey Staggs and all the precious girls and moms in her dance family. She was also loved by many extended family members. She was predeceased by her great grandparents Morris and Mae Raney, Allen and Thelma Henderson, Buck Millwood and Edgar Boatman. The family received friends from 12-1:45 p.m. Saturday, April 7, 2018 at First Baptist North Spartanburg. Funeral services followed at 2 p.m. at the church conducted by Dr. Mike Hamlet and Rev. Doug Turner. Burial was in Evergreen Memorial Gardens in Landrum. The family was served by Petty Funeral Home, Landrum, SC.